If you have ever observed the behavior of a close friend or family member and wanted to scream out "Shame on you!" then Shame On It All is the novel for you. Harmony, Bryce and Lucinda a.k.a. Lucky Whitfield are sisters in the truest sense of the word. They argue and they get on each other's nerves but when it comes down to the wire, they are extremely protective of one another. 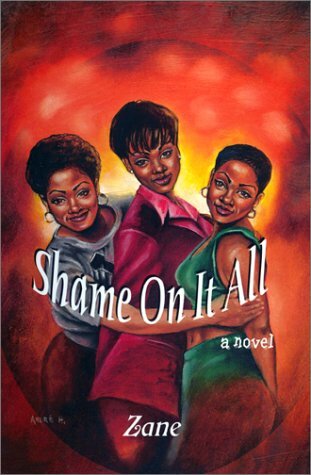 Shame On It All is a dramady about their adventures, their friendships, their love lives, and their outlooks on situations facing the majority of African-American women in today's society. Jam-packed with unpredictable, unbelievable, and just downright crazy situations with a few surprising twists thrown in for good measure, Shame On It All is as wild as they come. At a time when much of African American fiction has fallen into formulas and mediocrity, Zane has lifted the bar of literary standards again with this insightful, often hilarious work, which showcases her talent for satire, irony, penetrating analysis and downright hijinks. The sista can write! This book is a complete departure from her earlier efforts and one that should bring her the notoriety she so deserves. If you loved Addicted, then Shame On It All will give you a whole different view of this woman's immense talent. Zane has done it again. Shame On It All is well-crafted and fast paced with just enough drama to keep you talking to yourself. Zane triumphs with yet another masterpiece on the literary scene in her third book, Shame On It All. She uses her wit and one-of-a-kind style to spin a web of captivating dialogue coupled with humorous and lascivious scenes that will keep you on the edge of your seat. Shame On It All is yet another alluring novel by Zane... a prolific author making waves on the literary scene.